“I do miss the songbirds. Where did they go?” Her questions make me long for melodies that I have never heard and probably never will. The numbers of some of our sweetest songbirds have declined drastically, leaving Srinagar devoid of their melodies. The loss of green cover, changes in the social habitat and chemical fertilizers used in gardens and lawns have had the greatest impact on the bird population. Ornithologists say the decrease in their population is also due to Kashmir’s social and cultural changes in the past four decades. Residents of Srinagar city and other parts of Kashmir have replaced most of the traditional mud-brick and wood constructions, which were the favourite nesting spots of many birds, with those of concrete. Furthermore, earlier generations would ensure sufficient feed for these birds as a daily ritual. “The present generation is least interested in birds,” Kuldeep Singh Jamwal points out in his book How green was the Vale of Kashmir. As the sounds of gunshots and explosions have echoed the streets of Srinagar for the last 30 years, the songs, and cries, of the songbird have gone unheard. The Kustoor’s melodies are no longer heard at the crack of dawn or at dusk, and the song of the Bulbul, which would cheer on children and the elderly alike, is also fading away. The Poshnool sang, sounding like a loud flute, as it hopped from one tree to another. 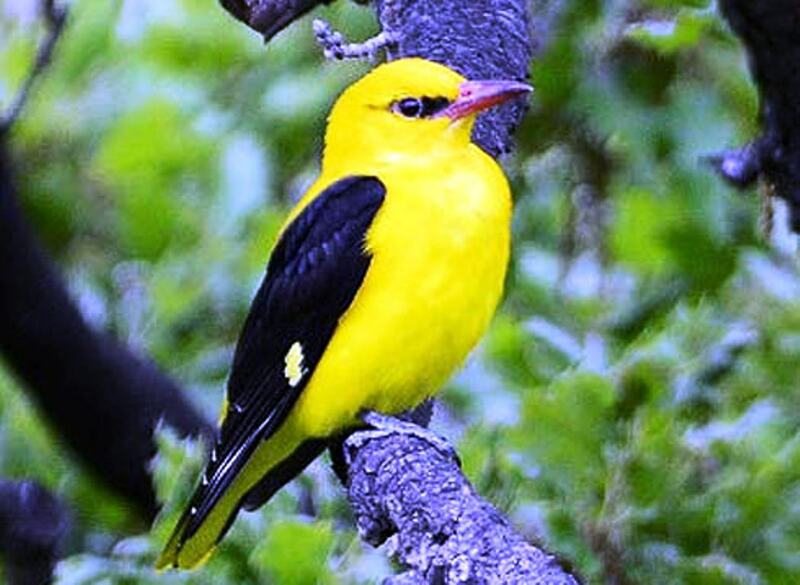 This yellow and blackbird, the Poshnool or the golden oriole, is not heard in the city anymore. When the biting cold would silence Kashmir in the winters, the Hazar Dastan would descend from alpine mountains and sing sweetly for the early risers in Srinagar. It is said that the bird would tell tales in its songs, hence the name Hazar Dastan, or a thousand tales. At one time, people in the city would share rooms with Katijis, the common swallow. The birds would make their nests out of wet clay inside the homes. Windows were left open for these gracefully tiny black and white birds to come in and the locals considered it a bad omen if the birds didn’t return to the same house next year. As Kashmir continues to witness the rampant destruction of its ecosystems we could very well end up losing much more than just the precious songs of our songbirds. Previous ArticleWhy Political Leadership Must Re-imagine Itself?